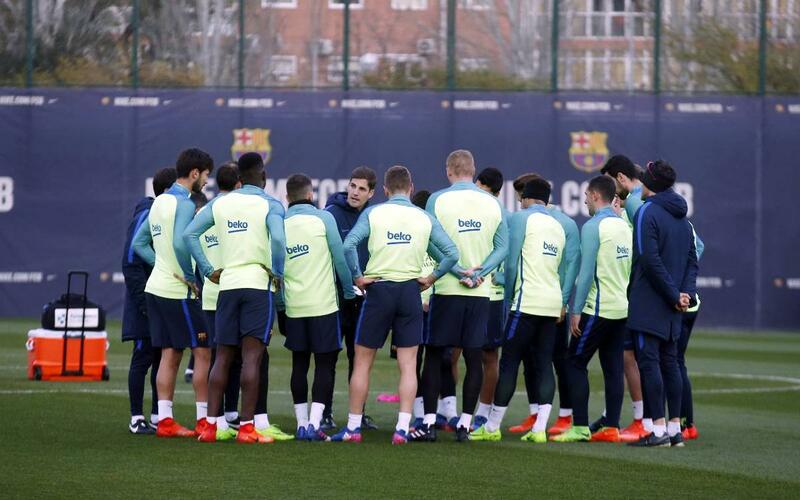 The Barça coach named his 18 man squad for the game in the Basque Country on Saturday at 4.15pm CET following training on Friday at the Ciutat Esportiva. Arda Turan missed Friday’s training session at the Ciutat Esportiva with a groin problem and was not included in the list. Rafinha is still recovering from a broken nose so he misses out as does Javier Mascherano who picked up a hamstring injury on Tuesday in the second leg of the Copa del Rey semi-final against Atlético Madrid. Goalkeeper Jordi Masip and defender Gerard Piqué have also been omitted from the squad which means a place for B team midfielder Carles Aleñá, who also trained with the first team on Friday ahead of the league clash with fellow Copa del Rey finalists Alavés. The full 18 man squad to travel to Vitoria is as follows: Ter Stegen, Cillessen, Rakitic, Sergio, Denis Suárez, A.Iniesta, Suárez, Messi, Neymar Jr, Paco Alcácer, Jordi Alba, Digne, Sergi Roberto, André Gomes, Aleix Vidal, Umtiti, Mathieu and Aleñá.